Ida Mae Ter Beek readily joined her Lord and Savior, and her husband Paul E. TerBeek, on Wednesday morning, March 28, 2018. Ida Mae was born to Burton J. & Gladys Bailard Thomas on April 1, 1932, in Grand Rapids, Michigan. One of eight children, Ida Mae grew up in lively household on Prospect Ave. in Grand Rapids until age 14 when the family moved to Holland. Her favorite memory was of when she was 3-years-old and for her birthday she received a baby sister Ann and a baby doll. For as long as she could, Ida Mae would sit on the front steps of the house and tell everyone who would listen about her birthday presents. Ida Mae spent her teen years playing on the shores of Lake Macatawa, Lake Michigan, and attending Holland High School. Soon after graduating, Ida Mae met the love of her life Paul Eugene Ter Beek. Ida Mae and Paul were married in October, 1952. As a present to themselves, they purchased property on Oakdale Ct. and together, with their family and friends, built the red brick ranch that was her home from 1955 to 2016. There they enjoyed a large garden, many great neighbors, and raised their family until Paul passed away in 1976. Ida Mae, not one to sit still, returned to work and raised her children to the best of her very capable abilities. Ida Mae spent over 20 years working at Sears. She started when Sears was located on 7th & River, moved with the store to 16th & River, and then finally moved to Westshore Mall, and retired from that location. Again, not one to sit still, Ida Mae cared for her 2 granddaughters, as well as helped her many friends and neighbors. Ida Mae was a woman of integrity and character. If you told her a secret, she kept it. If you asked for assistance, she gave it. She was there when you needed her and behind the scenes helping when you didn't know you needed her. Ida Mae's faith in the Lord helped her through life and guided her home. She grew up in the Methodist church and after marriage, moved to Berean Bible Church, now Parkside Bible Church. In 2016, Ida Mae moved into Appledorn North and as her legs grew weaker, to the Inn at Freedom Village where she lived until her death on March 28, 2018. Ida Mae is survived by her son Paul Eugene Ter Beek II; daughter Mary Ruth Ter Beek Rivera (Arnulfo); granddaughters Lisa Rivera Pearo (Matthew), and Erika Rivera; great-grandchildren Kiera and Emery Susick, Dylan Pearo, and Riley Rivera-Pearson. She is also survived by her sister Ann Thomas Kempker (Jack), sisters-in-law Jackie Thomas, Jean A. Thomas, Lucille Thomas, Bea Egbers (Gil), Sally Hubbard, Joanne Dykema; and brothers-in-law Henry Funkes and Dennis Adams. She is survived by more nieces, nephews, great-nieces and great-nephews than she could count! Ida Mae was preceded in death by her husband, Paul Eugene Ter Beek; sister Helen Thomas Funckes; brothers Leslie, Frank J., Burton J. (Eleanor), Ray, and Frank B. Thomas. Brothers-in-law Harold (Arla), Lloyd (Eva), and Keith Ter Beek; Neal Dykema; Glen Hubbard and by sisters-in-law Mildred Zych (Bill), and Barbra Kole. A Celebration of Life will be held in the Chapel of Third Reformed Church in Holland, MI on Friday, April 6, 2018. Visitation will begin at 3:00 p.m. with the Celebration following at 4:00 p.m. The Reverend Austin Vondracek will officiate. Interment will be at Restlawn Memorial Gardens. 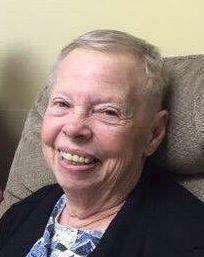 The family wishes to thank Holland Hospital, Sanctuary at Saint Mary's, Appledorn North, and the Inn at Freedom Village and Hospice of Holland for the personal and heartfelt care Ida Mae received. Please hug your family and friends! Life never seems long enough. In lieu of flowers, please consider a donation to the Ter Beek Scholarship Fund, c/o Hope College, Holland, MI 49422.